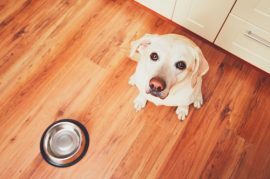 For many dog owners, it can be pretty hard to say no to their canine friends whenever they come up to the table and start begging, even for desserts like vanilla ice cream or cake. Fortunately, there are safe dessert options for dogs—you just have to make them yourself, starting with this Manuka honey berry cake! Not only will your dogs love the taste of it, but the ingredients provide some substantial boosters for dog health. For instance, strawberries and blueberries are chockful of antioxidants, phytochemicals, and vitamin C, and they are just as great for your dog’s health as they are for yours. This recipe also substitutes enriched all-purpose flour for coconut flour, and it uses coconut oil rather than vegetable oil, which is good for enhancing your dog’s coat as well as helping with digestion. If you think your canine friends will love this Manuka honey berry cake, then we need to get started on it as soon as possible! Note: While you are free to make adjustments to this recipe, there are a few changes you should avoid, as they could be toxic to dogs, such as avocados, cherries, chocolate, and grapes, or simply unhealthy for them, as with all-purpose white flour. For flour, you should instead use a grain-free option, such as coconut, potato, almond, chickpea, or lentil flour. To start on this recipe, preheat your oven to 350 degrees Fahrenheit. Mix the Manuka honey, the eggs, and the coconut oil together in a large-enough bowl before stirring in the coconut flour and the blueberries. Now, grease a four-inch spring form pan using coconut oil before filling the pan with your cake batter. Bake the cake between 20 and 25 minutes or until the cake’s center feels firm. A toothpick or fork inserted into the center of the cake should come back up clean and without residue. Remove the cake from the oven and allow it ample time to cool down before adding the frosting. Mix the yogurt, the Manuka honey, and the food coloring together in a bowl to make the frosting. Once mixed, frost the cake before topping it with the blueberries and strawberries. Need to order some Manuka honey so you can make this recipe? To get your order started, click here. And, remember, we offer FREE shipping on all orders of $150 or more. Manuka Honey Jalapeño Beef JerkyCan Raw Honey Help Heal Chicken Pox Scars?